Apple’s fifth generation iPhone is less than 24 hours away from being unveiled to the world, but concerns around the working conditions of the Chinese factory workers that produce the device are being brought up once more. A undercover report from the Shanghai Evening Post, which has been translated into English by MIC Gadget, reopens the controversy around exactly what goes on at Apple partner Foxconn’s manufacturing facilities in China. The first night sleeping at Foxconn dormitory is a nightmare. The whole dormitory smells like garbage when I walked in. It’s a mixed of overnight garbage smell plus dirty sweat and foam smell. Outside every room was fully piled up with uncleared trash. When I opened my wardrobe, lots of cockroaches crawl out from inside and the bedsheets that are being distributed to every new workers are full of dirts and ashes. The contract has highly emphasized on 4 confidential areas that need to be kept strictly confidential, 1: All technical information, 2: Sales figures, 3: Human resource, 4: Production statistics. The contract didn’t mention much on the overtime works. Under the section of “Possible harmful effects that may cause to worker during production”, the management has asked us to tick “No” for all of them. This includes “Noise pollution” and “Toxic Pollution”, I was wondering if the production floor will caused any harmful effects while working. By my own calculations, I have to mark five iPhone plates every minute, at least. For every 10 hours, I have to accomplish 3,000 iPhone 5 back plates. There are total 4 production lines in charge of this process, 12 workers in every line. Each line can produce 36,000 iPhone 5 back plates in half a day, this is scary … I finally stopped working at 7 a.m.
For the full account, be sure to check out MIC Gadget‘s translation. There’s absolutely no doubt that the timing of this report has been arranged to arrive just a day before the new iPhone is launched, but it is unclear exactly when the reporter was working in the factories. There is no cast iron guarantee of the report’s authenticity — Chinese media are not unknown to embellish reports, something This American Life’s Mike Daisey showed even Western media can be guilty of — but the claims do appear to line up with previous reports of the conditions at Foxconn. The report will doubtless make uncomfortable reading for Apple, which has pledged to address issues within its supply chain in China, which have included strikes and worker suicides. Recent allegations leveled against Foxconn suggest that students have been compelled to serve gruelling “internships” at the manufacturer’s plants, though the company has denied the accusations. 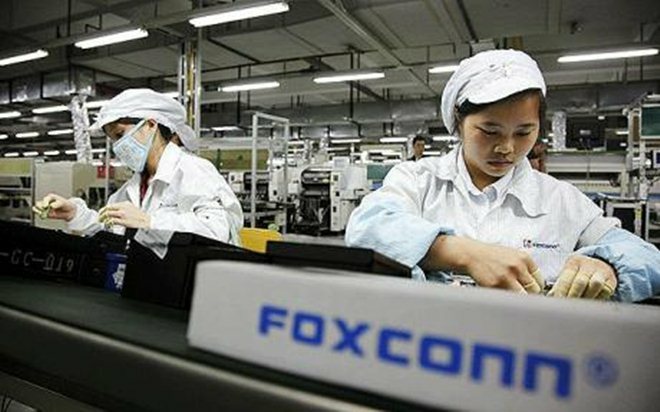 Apple joined the Fair Labor Association (FLA) early this year and sought its help in auditing Foxconn’s facilities. The FLA’s inspections found a number of overtime and salary violations. To Foxconn’s credit, an updated report by the FLA released last month praised the company for correcting some of the issues ahead of schedule. Tim Cook, Apple’s CEO, visited a Foxconn plant during a landmark trip to China in March. Earlier this year, Cook repeatedly claimed that the Cupertino-based firm is committed to improving conditions at its Chinese partners’ factories. We reached out to Foxconn and Apple but neither company has issued a response. We’ll keep you posted if that changes.